I figured that it would too cruel to show you every single photo of the cakes that we had, so I will keep this short. We had about 20 tasters in the group, but most of them gave up after having a few slices. We agreed that Flor Patisserie’s Strawberry Cake was the best cake amongst the ones that we had that night. It might just be one of the most simple-yet-sophisticated cake. You might argue that our sample size of two is not big enough to make inference about the best cake in Singapore. But since we ate our way through 20 cakes at one go, I dare say that’s significant enough. It was a close fight for the prestigious ‘Best Chocolate Cake in Singapore‘ title. We had worthy contenders from Lana Cake Shop, Choc-a-bloc, Jewels Artisan Chocolate, Vicky’s Cake Shop, and Truffs The Chocolate Artisan. We also declared Lana Chocolate Cake as the Best Chocolate Cake in Singapore. Somehow, their combination of the sponge and chocolate fudge tasted just right. Unfortunately, we missed out comparing the chocolate cake from Awfully Chocolate’s and Jane Cake Station with the rest. I’d probably do another separate taste test of the three chocolate cakes. But that’s a story for another time. The cakes in this post do not represent all the Best Cakes in Singapore. There are definitely other cakes that I’d include: in this list Bakerzin’s Chocolate Amer, Cedele’s Carrot Cake, Hilton’s Cheesecake, Canele Patisserie’s Matcha Cake, Da Paolo’s Tiramisu, Goodwood Park Hotel Deli’s Durian Cake, Jane Cake Station’s Chocolate Fudge Cake, Laurent Bernard’s Pleasure, Max Brenner’s Warm Chocolate Cake, Obolo Patisserie’s Noisette, Tampopo Deli’s Chiffon Cake, The Cheesecake Cafe’s Vanilla Chocolate Chip Cheesecake, 1 Caramel Patisserie’s Chocolate Praline Cake, 3 Inch Sin’s Warm Chocolate Cake and so many more! Have you tried the banana chocolate cake from Awfully Chocolate yet? You’re supposed to! A suggestion would be to have captions below your photos so readers can associate the photos with the dish/cake! Not only referring to this post but the rest as well! Many a times I wonder what dish it is and its such a pity. Just a friendly suggestion! 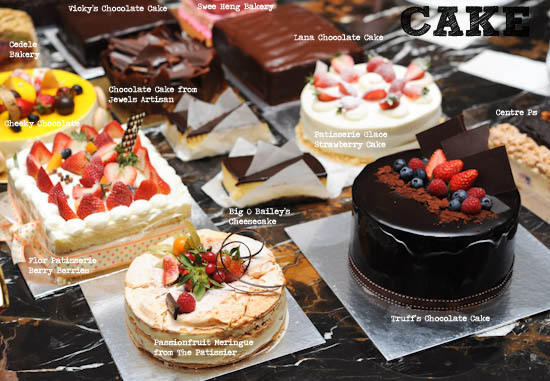 Lovely article and a very comprehensive list of cakes in Singapore. This could be a good cake trail tour. 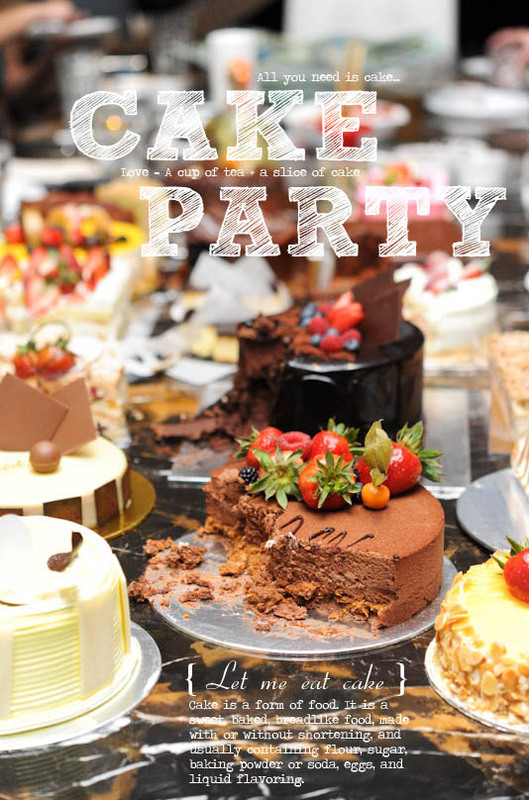 What a great idea to have a cake party! Lucky you! mmmmm any ideas on where to get a good souffle? Hey all, you guys should take a look at these cakes from Garibaldi cakes.. they are now at much more affordable prices..
and prepare for some eye candy feasting! I want to throw an ice-cream party! Eat til we lau sai! wahahaha! You should try the coconut cake by Coffee Stars by Dao! 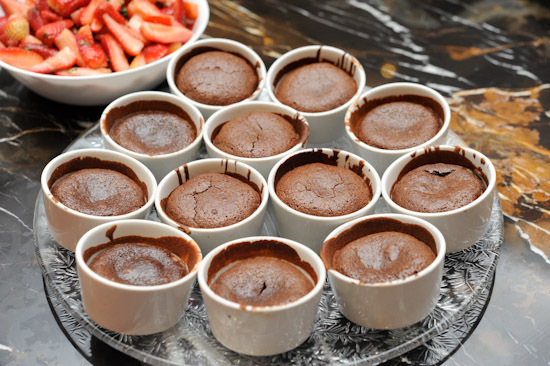 Hi, do you know where can I get really good healthy chocolate cake in Singapore? Any ideas to get delicious three tier cake? it’s my friend’s bdae and i need choices so that i could go cake shopping. my budget is around one hundred dollars. @Elle, you should try the chocolate cake from Chef Icon. Just google the name and you will find more info about it. It’s yummy and healthy at the same time. Any idea whether the cakes you have recommended are halal certified? You may like to try Naomi kitchen swiss roll. Apart from the different fillings, we also have Blancmange swiss roll and rolls with special design. You may visit our web http://www.naomikitchen.com or our shop at Blk 465, Crawford Lane, 01-08. Any recommedations for really good cheesecakes please? Hey everyone.. Does anybody know how good is the durian cake in Ubi Ave 2 is..? The shop is call D’Pastry.. I need feedbacks coz I’m planning to get one for my wife’s birthday.. Please help..I’m living in Malaysia and would like to order a birthday cake for my BF who is working in Spore. Can somebody please recommend a good shop to order a cake from? Thanks! Any idea where can I get good and nice coconut cake? The one that my mum and hubby liked at Big O has be discontinued.